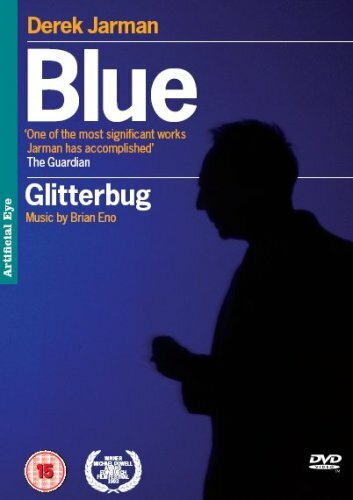 To coincide with World Aids Day, and in conjunction with The Terence Higgins Trust, Screentalks presents Jarman’s 12th, and final, feature film, Blue filmed in 1993, the year before he succumbed to AIDS-related complications. The 79-minute film is inspired by Yves Klein’s 1961 painting ‘Blue Monochrome’, and features a single ‘blue’ frame with voiceover narration. The film has screened at museums, galleries and film retrospectives ever since its release, evoking sensory and contemplative response. 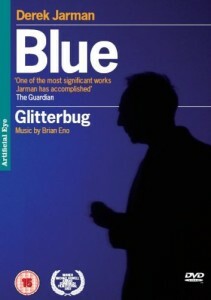 Jarman created Blue to reflect on his increasing loss of sight – blue-tinged as a side-effect of his medication – and heightened sense of mortality. Autobiographical, anecdotal, experimental, affecting, uplifting and metaphysical, this is a viewing experience not to be missed. 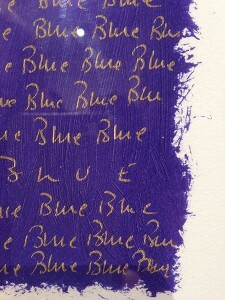 The Bill Douglas Cinema Museum at the University of Exeter holds the archive of James Mackay, the producer of many Derek Jarman films including Blue. Don Boyd’s archive also holds material relating to Jarman. If you are interested ion accessing the archives email bdc@exeter.ac.uk. 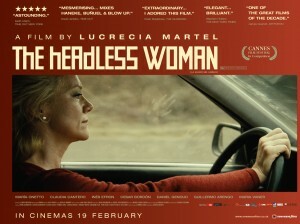 Next week’s Screentalk introduces a masterpiece of Argentinian suspense, Lucrecia Martel’s The Headless Woman (2008). Veronica is driving in northwestern Argentina when her mobile phone distracts her and she runs over something—but drives on. The police confirm that there was no accident, but Veronica begins to have a meltdown, thinking she may have killed someone. Was it an animal? A child? Or nothing at all? We hope you can join us for the screening, and for film chat in the bar afterwards. Our new programme for Sept-Nov 2015 is now live!